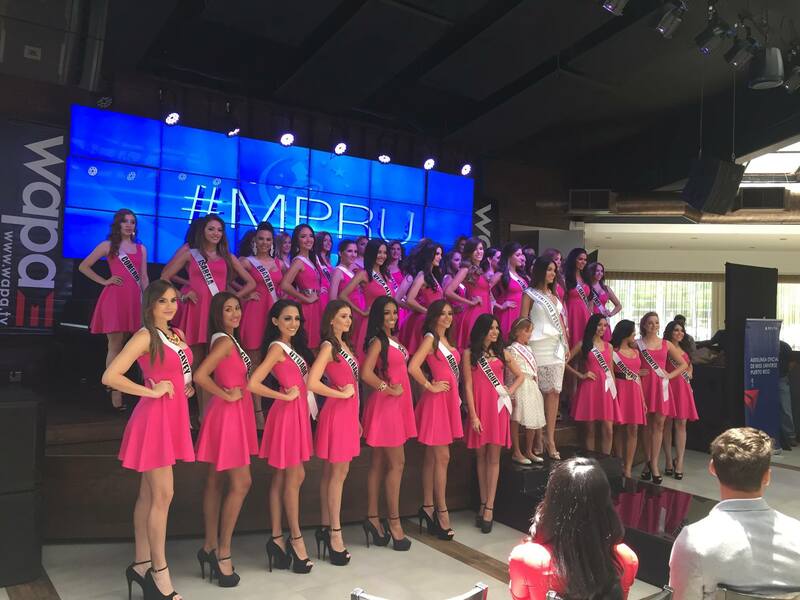 Meet the 40 stunning Miss Universe Puerto Rico 2016 Contestants. Winner of this Pageant will represent Puerto Rico at Miss Universe 2016.The Contestants were officially introduced to the media today. Catalina Morales is the reigning Miss Universe Puerto Rico 2015 & she will represent her country at the upcoming Miss Universe 2015 Pageant. The 40 lucky contestants were shortlisted through various regional rounds or were given direct registration. Like every year in the recent times, this year too the contestants of the pageant are very competitive. The National Director of Puerto Rico is Desiree Lowry who represented her country at Miss Universe 1995, where she won 4th runner-up. The first runner-up of Miss Universe Puerto Rico goes to Miss Intercontinental. Puerto Rico is a Miss Universe Power House; it has five Miss Universe crowns under it’s belt, alongside various runner-up crowns. Zuleyka Rivera was the last Puerto Rican to wear the Miss Universe crown in 2006 in Las Vegas, United States of America. Marisol Malaret Contreras was the first one in 1970. Deborah Carthy-Deu won Miss Universe title in 1985. Dayanara Torres won Miss Universe title in 1993. Denise Quiñones won the Miss Universe title in 2001 in Puerto Rico. In fact, The first Edition to be hosted outside US was in Puerto Rico in 1972 Puerto Rico alongside Mexico are the only two countries to Host the Miss Universe pageant multiple times! The Only edition of Miss USA to e held outside the United States was in Puerto Rico in 1972. The grand finale of Miss Universe Puerto Rico 2016 will take place on 12th November 2015 at the Centro de Bellas Artes de San Juan. Natalia Rivera & Jaime Mayol will host the show. The show will be broadcast on WAPA TV in Puerto Rico. Several TV Stations across Central America will telecast the event live. Catalina Morales, Miss Universe Puerto Rico 2015, will crown her successor at the end of the event. Olivia Jordan Photoshop Trolling: 10 Best Attempts! Miss Guayama, Miss San Juan and Miss Isabela.